This safe and flexible option is the simplest way to give. You can schedule a recurring or one-time gift charged to either your debit or credit card. You can also set up an ACH electronic funds transfer (onetime or recurring) from your checking or savings account. Online giving also provides an opportunity to select how to apply your gift, i.e. toward a specific fund or ministry. Click here and follow the simple "Create Profile" instructions. 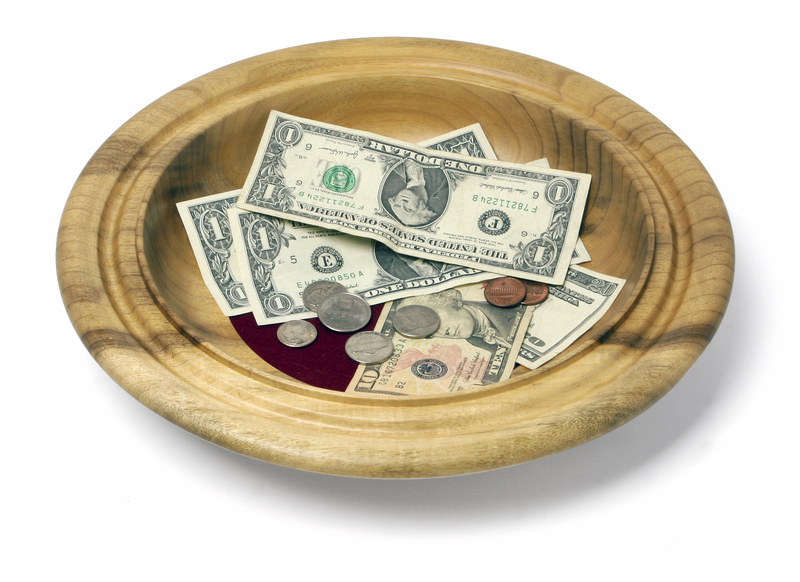 Financially contributing during a worship service, either with cash or a check made out to Oak Forest UMC. This is an easy and effective way to give through your checking or savings account. Simply log onto your individual bank account and follow your bank's instruction to set up Oak Forest United Methodist Church as a new payee. If you have stocks or bonds, precious metals, vehicles or any other assets that you would like to donate, contact our church treasurer. Consider remembering Oak Forest United Methodist Church in your will. A bequest is an excellent way to leave a legacy to Oak Forest UMC. If you would like more information, please contact ben.roop@oakforestumcnc.org or 336-764-2949.